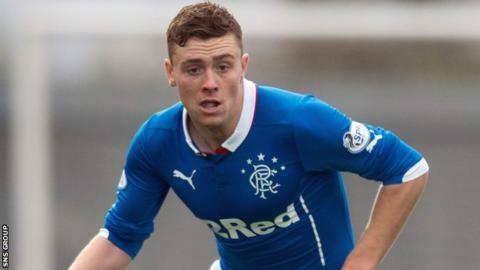 Rangers midfielder Lewis Macleod is the Scottish Professional Football League young player of the month for October. The 20-year-old played in four matches last month, scoring twice, including a late winner against St Johnstone in the League Cup quarter-final. And his good form has been rewarded with a first call-up to the Scotland squad for games against Republic of Ireland and England. Macleod's goal tally for the season stands at eight. A first-team regular since his debut in August 2012, Macleod has been with the Ibrox club from the age of 10 and is under contract until 2017.